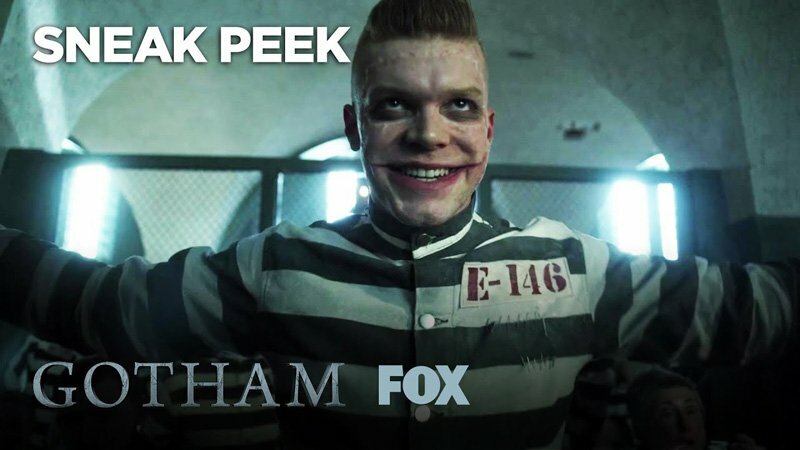 FOX has released a 5-minute Gotham sneak peek that shows new footage from the fourth season! Gotham will return with an all-new episode on Thursday, March 1. Season 4 of Gotham witnesses the emergence of the criminal landscape for which Gotham City is best known, with Jim Gordon (Ben McKenzie) and Harvey Bullock (Donal Logue) at the forefront of the fight against the most depraved and unhinged villains. As the citizens of Gotham City fight for normalcy, a new hero begins to rise. Bruce Wayne (David Mazouz), after completing his training with Temple Shaman (guest star Raymond J. Barry) and Ra’s al Ghul (Alexander Siddig), has decided that he is responsible for the city’s well-being. With the help of his ever-faithful butler Alfred Pennyworth (Sean Pertwee) and quiet support of Lucius Fox (Chris Chalk), he will step into this role, all while building up his public persona of carefree socialite to avoid any suspicion among Gotham’s citizens.